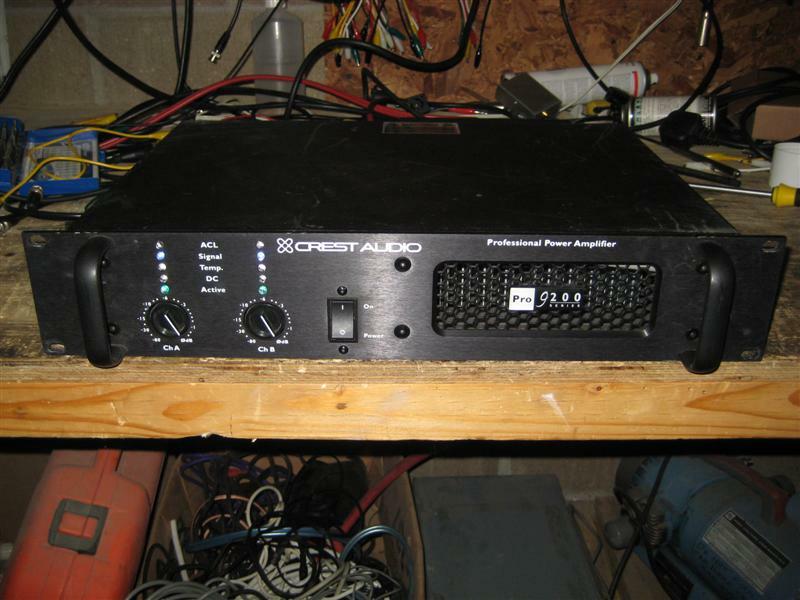 Crest power amplifier with extremely good performance indeed. 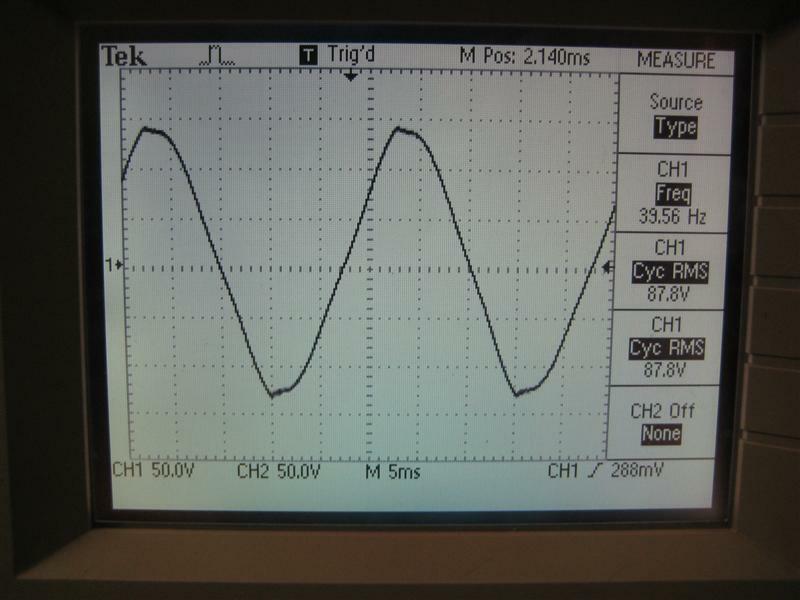 Very low distortion at full power and averaging 0.05% at 3/4 power at all frequencies and load impedances. Clipping behaviour is excellent, and the ability to drive 2R loads 'continuously' (full power sine wave for greater than 10 seconds - one channel driven) certainly gives the amp a lot of muscle. Lightweight aluminium casework and small case size with external fans (see images below) give the amp an incredibly large power to weight ratio. The amp is a single ended class G/H design and comfortably competes with class D designs in terms of size and weight, but with added performance and lower distortion. 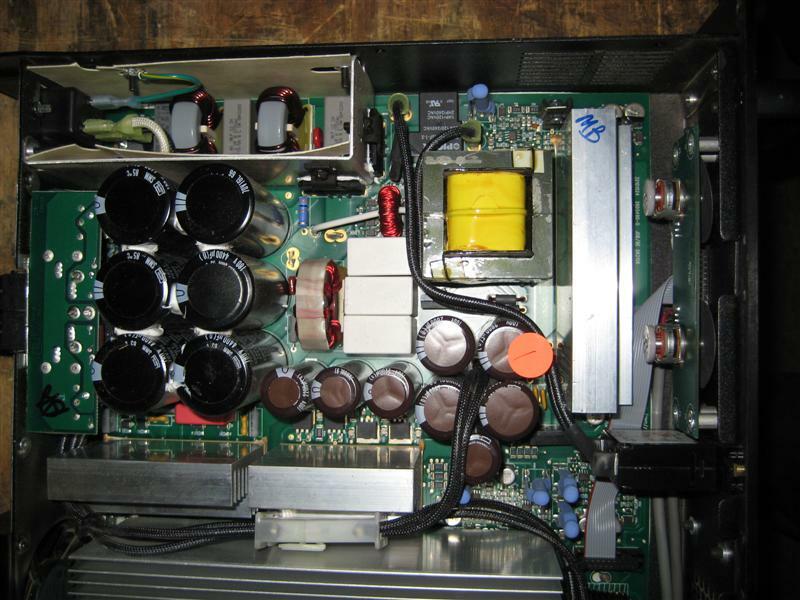 The circuitry is visibly similar to the Peavey CS4080HZ, but with a switched-mode power supply instead of a toroid, and higher rail voltages. *2R performance was measured with one channel driven only, because excessive sine testing caused the power supply to go into overcurrent protect. 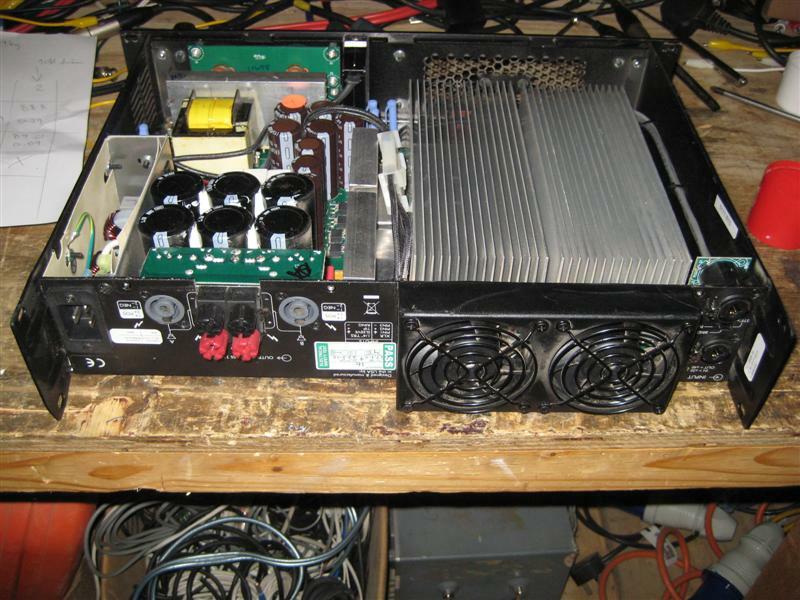 However, at 2R the amp will comfortably deliver almost 4kW per channel, 100ms burst, both channels driven, without problems. 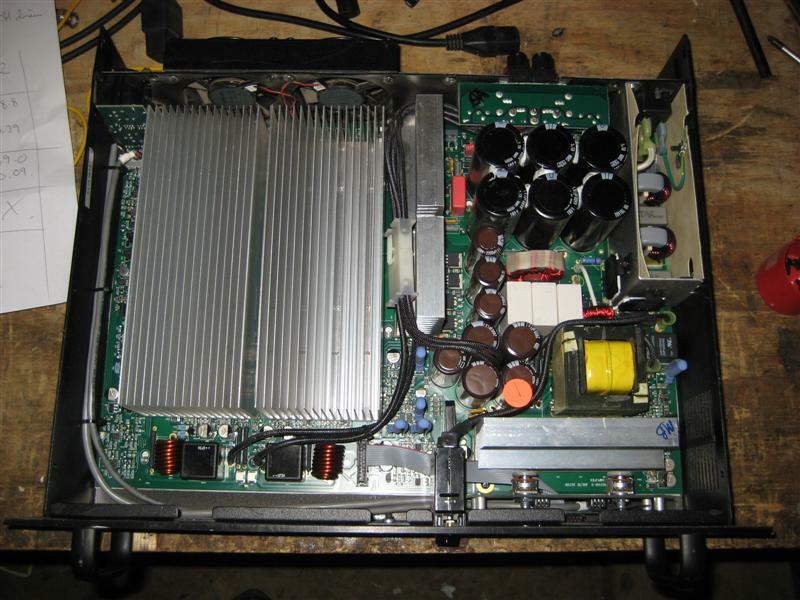 Amplifier internals showing the amp channel heatsinks towards the left and switched mode power supply towards the bottom right. Closeup of the SMPS and primary and secondary smoothing capacitors. 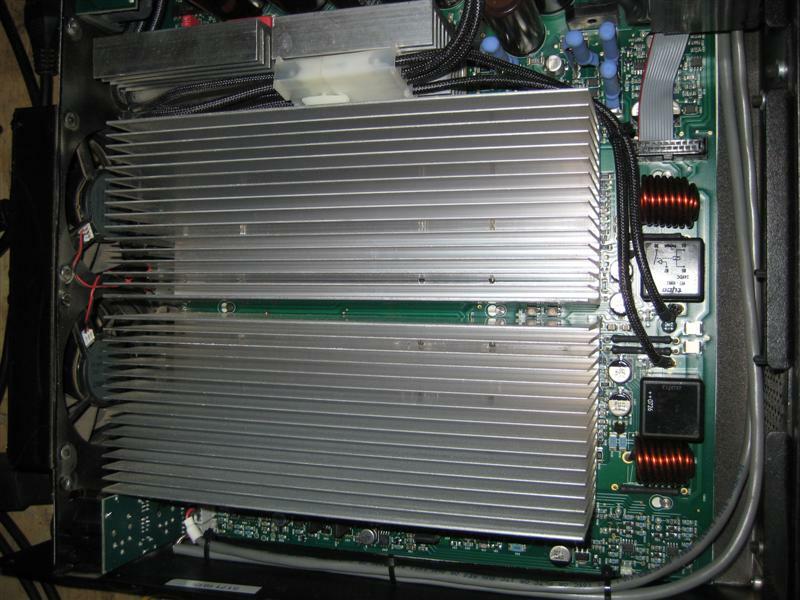 Closeup of the amp channel heatsinks. Rear of the amplifier. Note the externally-mounted case fans to save case depth. 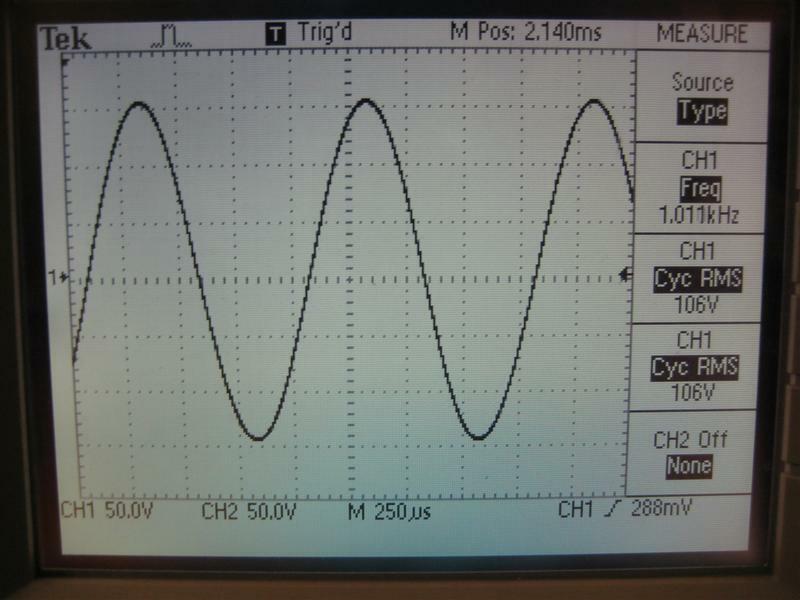 1kHz sine wave, full power, 8R. Perfect. 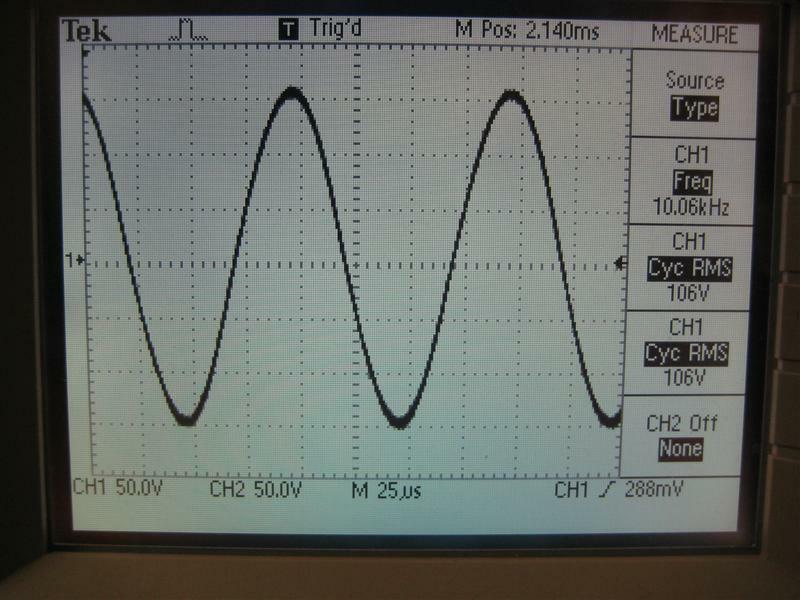 10kHz sine wave, full power, 8R. Perfect. 40Hz sine wave, full power, 4R. Again, perfect. 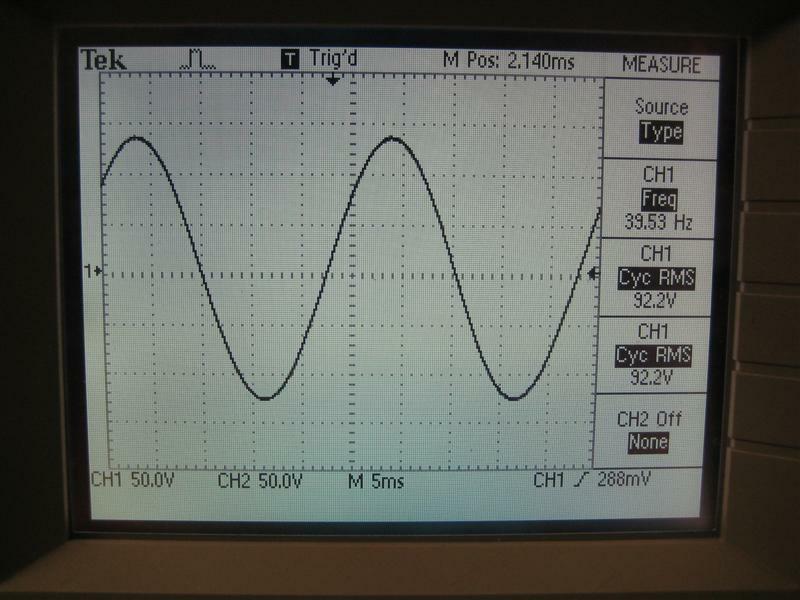 40Hz sine wave, into clipping, 4R. This is the point where the clip limiter activates. 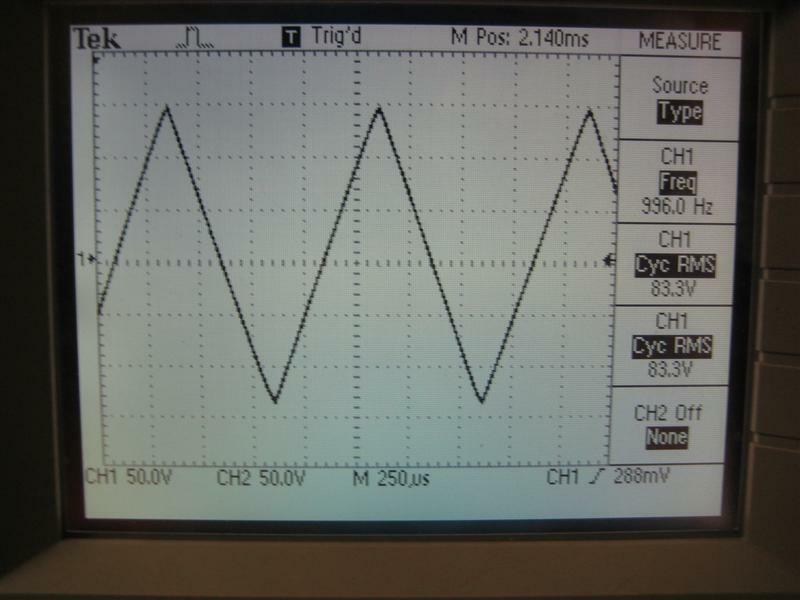 Slanting of top and bottom of waveform suggests 50Hz power supply ripple, but this is considerably less than most designs. 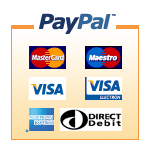 1kHz triangle wave, full power, 4R. Extremely good, very symmetrical and extremely linear.